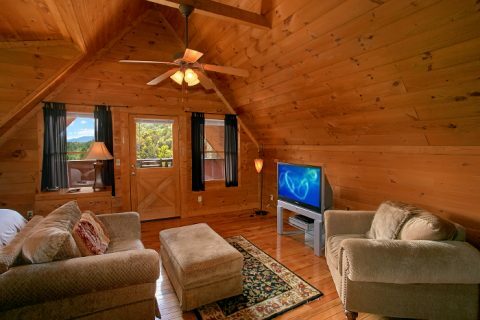 Reserve "A Little Bit of Heaven" for your cabin vacation in the Smoky Mountains! 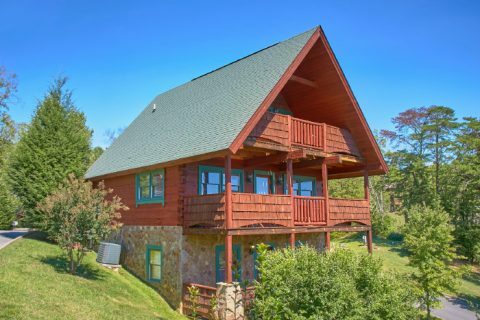 This luxury cabin in the Smokies has everything a family could ask for. 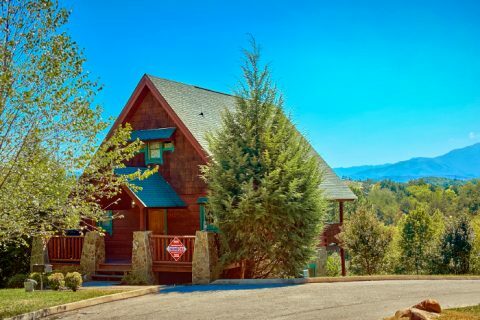 With gorgeous mountain views, a peaceful resort setting, and top-notch amenities, this cabin only a short drive from Pigeon Forge is all set to give you an excellent vacation experience. 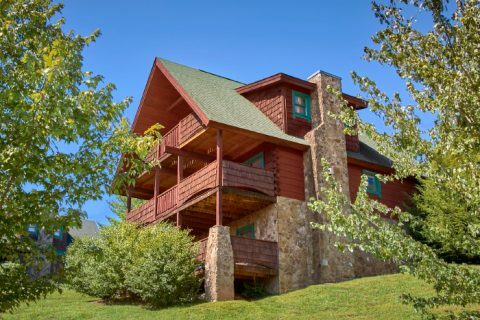 Nestled in beautiful Lantern Hill Resort, this luxury cabin on a hill offers guests views of the high ridge of the Smoky Mountains in the distance. 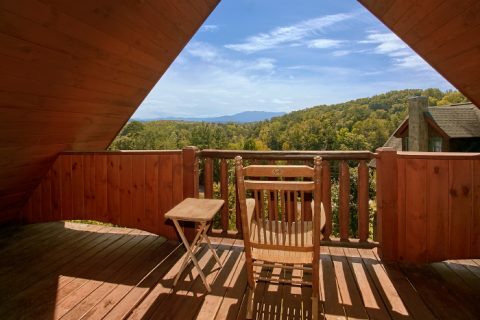 This inspiring view will make the perfect backdrop for your Smoky Mountain vacation as you rest, play, and relax in your cabin. 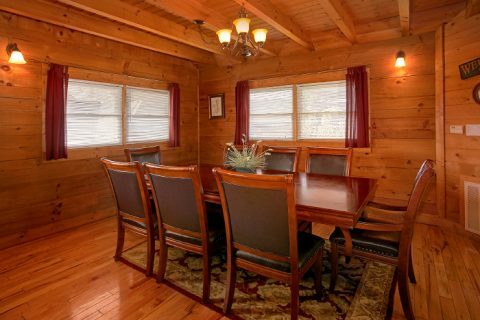 Start the morning off with a hot cup of coffee with breakfast that you enjoy out on your cabin's deck. With your rental's WiFi, you can easily make plans for your first day of adventure in the mountains. 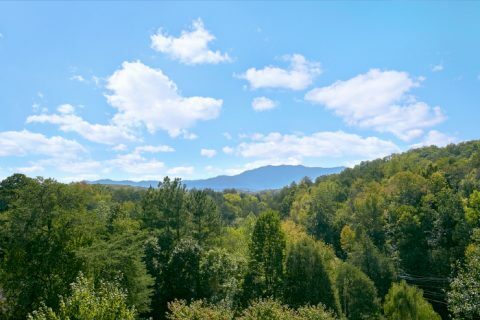 Dollywood, Gatlinburg, and the Great Smoky Mountains National Park are all within reach, so you'll have awesome options to choose from. Or maybe you plan on a vacation that will help you slow down and reconnect with the people who matter most in life. 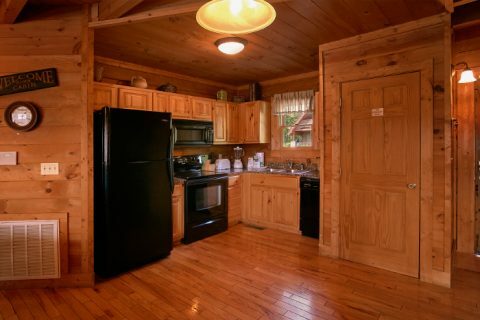 Enjoy the company of family and friends while you cook a delicious country breakfast in your beautiful cabin's kitchen. 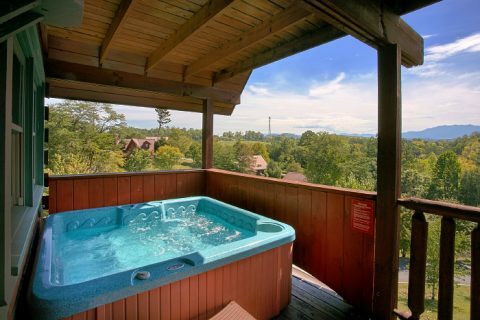 Enjoy a soak in the year-round hot tub while you admire the stunning mountain view. 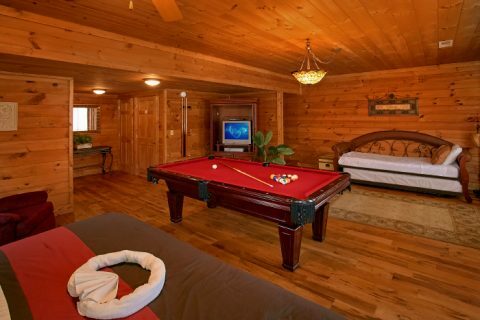 Hold a billiards tournament on the pool table. 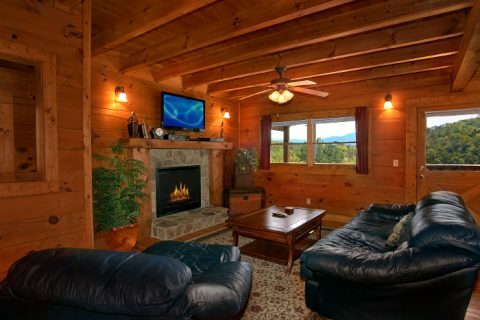 Watch a movie in the living area while the gas fireplace keeps everyone toasty and warm. Hold a cookout with your cabin's charcoal grill and sit out on the deck to enjoy the sunshine and a pleasant breeze during your stay. Or enjoy a walk in Lantern Hill Resort. 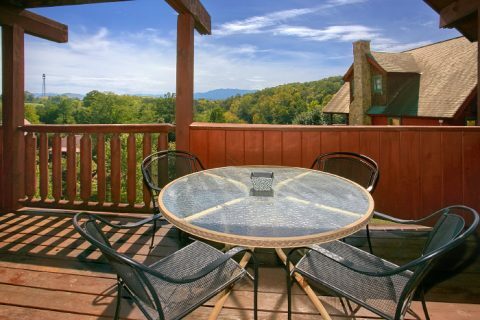 This resort features wide roads and is more accessible than some other Pigeon Forge resorts. 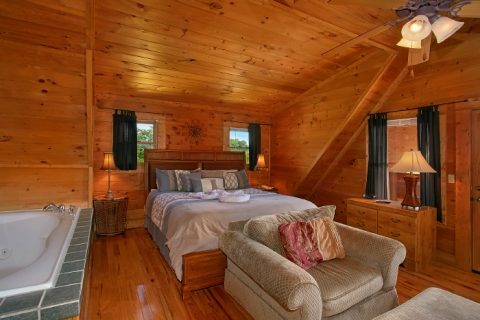 This two bedroom cabin offers vacationers 2 king size beds. 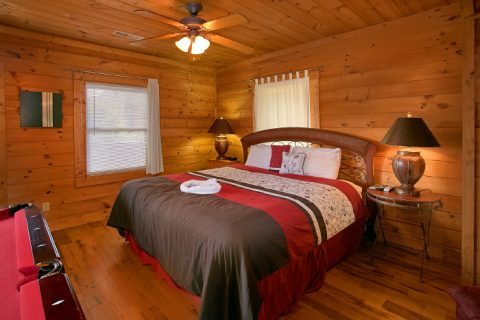 Each bedroom provides a television, king-size bed, a private bath, and access to a deck or balcony. 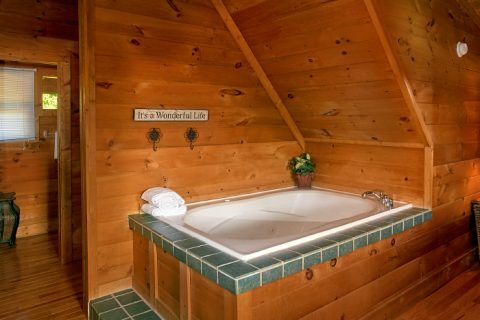 Additionally, the master suite on the main level offers a jacuzzi tub and a trundle bed for additional sleeping space. With room for 8 guests, this luxury Smoky Mountain cabin is a great pick for families or a small gathering with good friends. 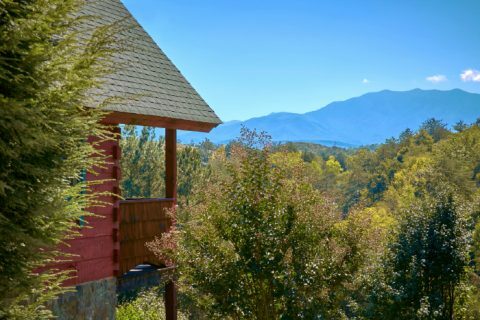 Book your very own cabin in the Smokies with a view and save 15% on your lodging when you stay with Cabins USA Gatlinburg! 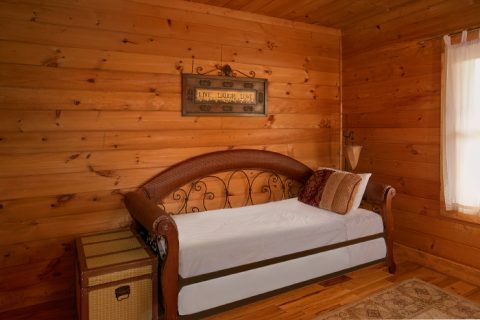 Not only will all the best sights and attractions be close by, but also you'll enjoy a comfortable resort cabin with all the comforts of home and more!